United States Supreme Court Justice Ruth Bader Ginsburg says her recent comments about Donald Trump were "ill-advised." The Justice added that she, "regret(s) making them." In interviews with media organizations in the past week, Ginsburg criticized the presumptive Republican nominee for president. She said she did not want to think about the possibility of Trump winning the election. She also called Trump a "faker." Trump asked the justice to resign from her position. On social media, he criticized her comment as, in his words, "dumb." He tweeted, "Her mind is shot – resign." Republicans and some newspaper editorial writers were critical of the Justice's comments. Republican House Speaker Paul Ryan said her comment "shows bias." Republican Senate Majority Leader Mitch McConnell said it was "totally inappropriate" for Ginsburg to criticize Trump. Both The New York Times and The Washington Post wrote editorials saying she should stay out of presidential politics. Justice Ginsburg seemed to agree with the criticism. In a statement released by the court's public information office, she said: "Judges should avoid commenting on a candidate for public office. In the future, I will be more circumspect." Ginsburg has served on the Supreme Court since 1993. President Bill Clinton, a Democrat, appointed her. At the time, she was only the second woman appointed to the U.S. Supreme Court. At 83, she is the oldest member of the court. Ginsburg is known for speaking out on many issues. Her comments are often reported in blogs and were even turned into a book. Reporters question Josh Earnest about her criticism of Trump on Wednesday. 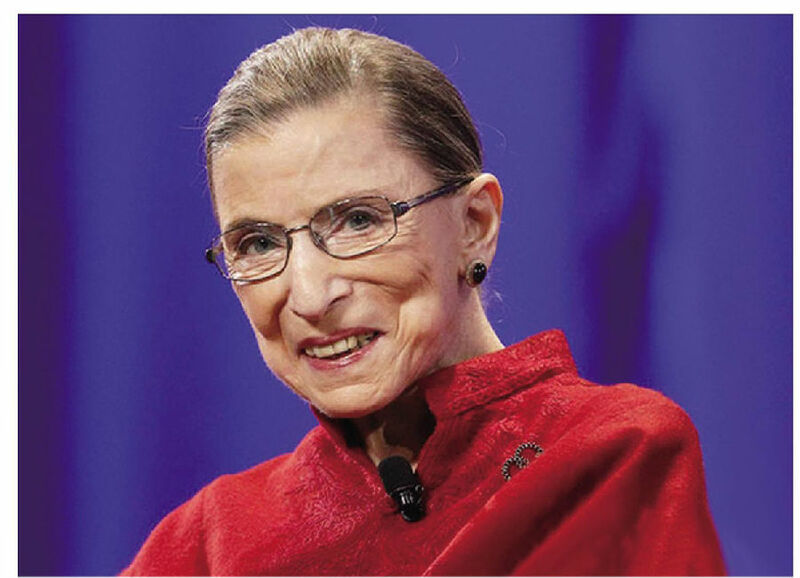 The president's spokesman said, "She didn't earn the nickname the 'Notorious RBG' for nothing." I miss Max and think about him all week long. We do not expect social media to radically change what we do. Have women been prohibited from holding public office? The war might turn into a miniature Stalingrad. 1.Both The New York Times and The Washington Post wrote editorials saying she should stay out of presidential politics. His father told him to stay out of trouble. I had just as soon stay out of the quarrel. 2.Justice Ginsburg seemed to agree with the criticism. I agree with you to some degree. I agree with you, but with some reservations.